You’ve seen drug sniffing dogs at an airport, right? Well, this is possible because dogs are able to track down scents that they have been trained to find. With over three hundred million receptors in their snouts, they are able to detect scents in the rain, mud, and snow. Because dogs are able to track down scents with such intensity, bed bug treatment companies like Northwest K9 Bed Bug Detective utilize dog’s noses in order to find pesky bed bugs in homes, apartments, hotels, and other businesses. Why Are Dogs so Effective? Humans have about 30 percent accuracy when it comes to visually inspecting and finding bed bugs. Because bed bug eggs are off-white to a yellowish color, it can be hard to see among light colored bedding and carpets. Adults are also small, about a quarter of an inch, and they are excellent at hiding, making it hard for humans to find them. 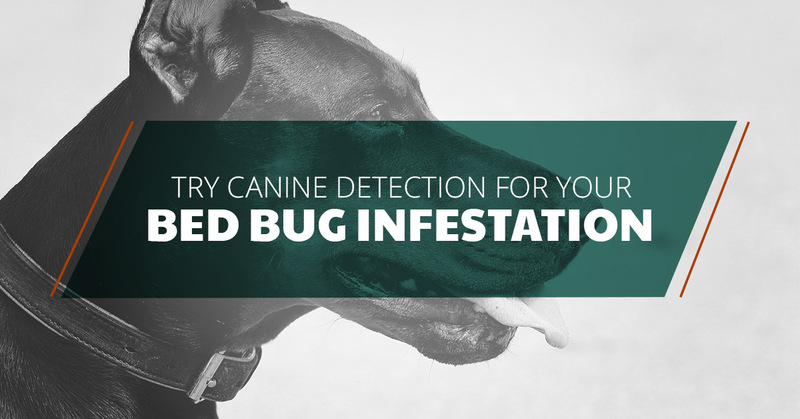 Specially trained dogs, on the other hand, have about 97 percent accuracy and can find bed bugs within minutes because they can rely on their sense of smell. Blood Hounds and Beagles are a popular choice for bed bug detection because they have been bred and trained for centuries to find prey. Other breeds include Border Collies, Jack Russell Terriers, and Labradors. It’s common for the dogs to enjoy seeking out bed bugs and then receiving praise from the owner when an infestation is found. Bed bug sniffing dogs typically begin training between eight and 12 months and are trained in mock hotel rooms or homes that have realistic hiding places for the dog to locate. During training, the dogs must learn the different scents of the bugs and be able to distinguish from live insects and dead cells, like egg casings and shed skins. If a dog finds a group of dead bugs and identifies them as a new infestation, it could cause unneeded bed bug treatments. For a dog to complete its training, it must go through a certification process where both the dog and the owner need to pass as a team. When it comes time for the dog to do its job in a real life situation, the dog, the owner, and a bed bug exterminator will search a space usually beginning at the front door and making their way throughout the space. They will especially look at common hiding places for the bugs, such as corners of mattresses, underneath carpets, and within closets. When a dog finds an infestation, the owner will still lead it to other rooms until every corner has been searched. If you believe you are experiencing a bed bug infestation, contact a bed bug treatment professional as soon as possible. To ensure that every live colony is found, try a company who uses the innovative method of canine detection. At Northwest K9 bed Bug Detective, we proudly serve Seattle and the surrounding communities and want to offer our canine services. 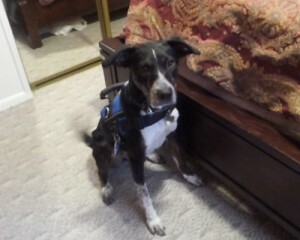 Learn more about bed bug sniffing dog, Magic, here. For quick detection and 100 percent removal, give us a call today to start the treatment process.